Paul Dorpat, Wallingford’s very own “celebrian” (celebrity historian–yeah, I made that up), has worked with the Museum of History & Indsutry (MOHAI) for a “Now and Then” exhibit, which opens this Saturday, April 9, and runs until Sunday, June 3. 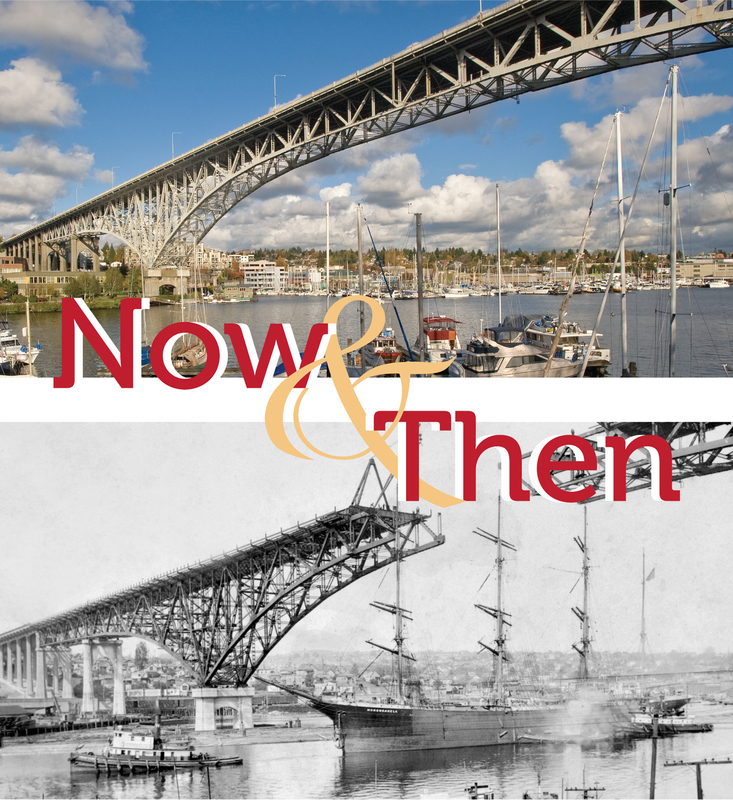 If you’re a fan of Paul’s weekly “Now and Then” column for The Seattle Times’ Pacific Northwest Magazine, you’ll see quite a bit of his “repeat photography” in which he uses historical and contemporary photographs to reveal the changes in our world. The exhibit showcases his collaborative work with Jean Sherrard and Berangere Lomont. The exhibit focuses on the changing landscape of four locales. Beginning with photos taken in Paris, the birthplace of photography, Dorpat, Sherrard and Lomont utilize ‘repeat photography’ to chronicle changes over time in the cityscapes of Paris, Washington State, and Seattle. The last section of the exhibit focuses on the micro-element: Dorpat’s own daily walks through Wallingford with more than 400 images that animate his neighborhood throughout the year. The exhibit is comprised of hundreds of photographs. In partnership with the Seattle Architecture Foundation (SAF), MOHAI will also be offering Now & Then walking tours throughout Seattle in support of this exhibit. For more information, go to www.seattlehistory.org.